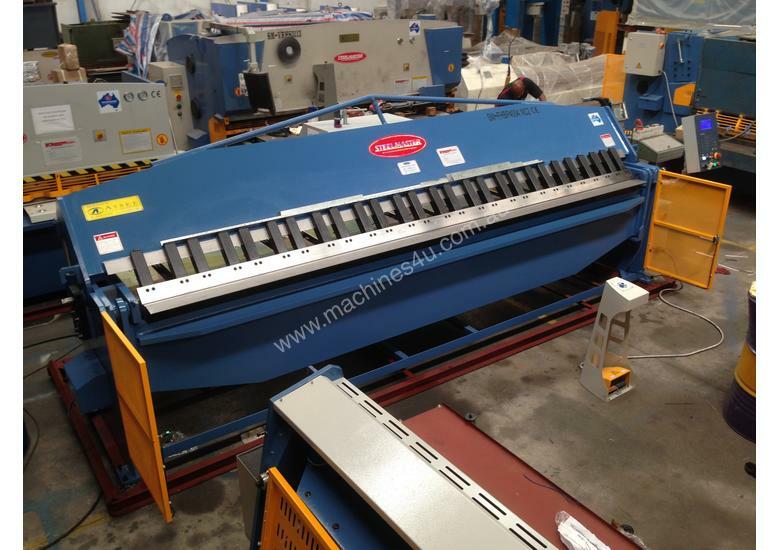 NEW STEELMASTER 4000mm x 4mm Full Hydraulic Panbrake With 2 Axis Controller & New Rear Roller Table. 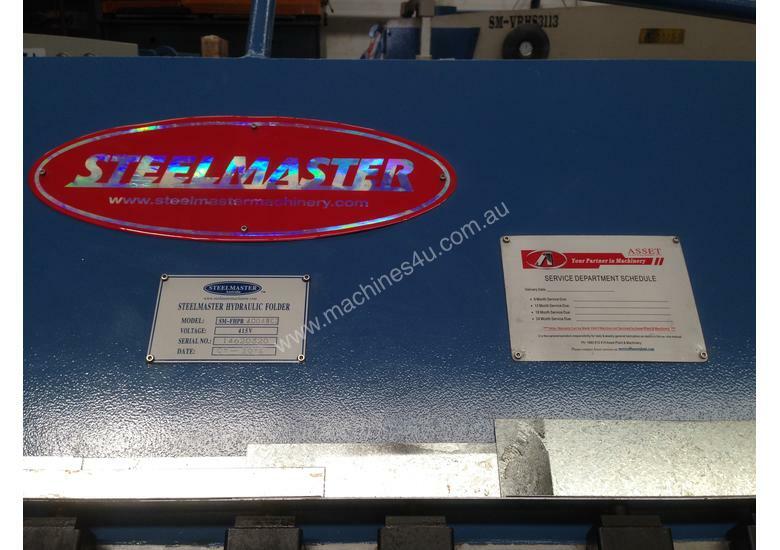 STEELMASTER – The Quality is better with Steelmaster! Check our prices for the best deal. Ask yourself - What’s important ? AUSSIE ENGINEERED & DESIGNED! 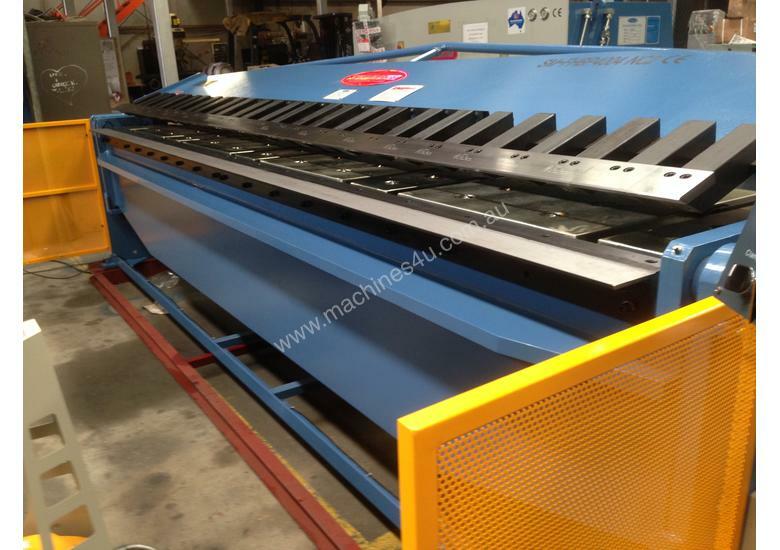 - 4000mm x 4mm NC2 Full Hydraulic Metalworking Panbrake Folder. 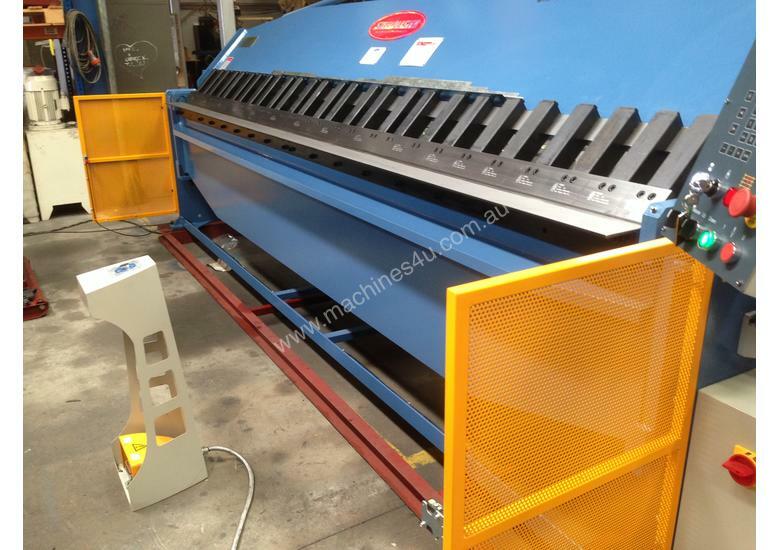 •	4000mm x 4mm Capacity. •	Heavy Duty Steel Welded Construction. •	SAFETY - Front Light Beam & Physical Guards. 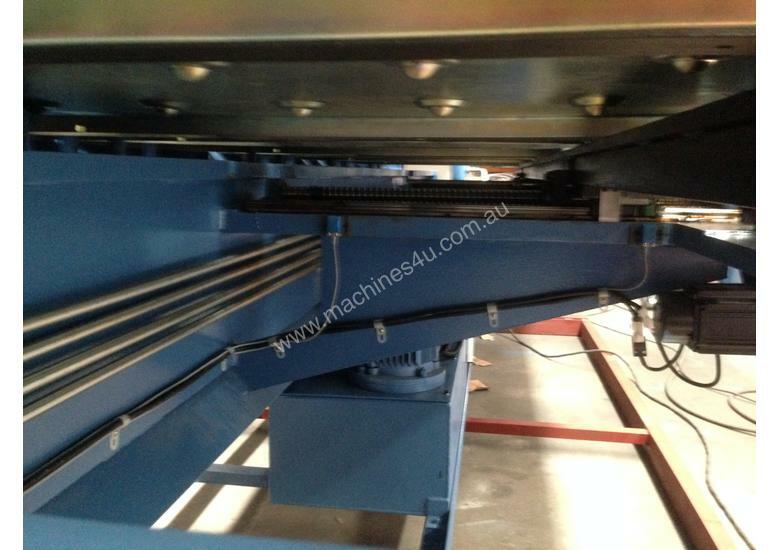 Most Machines Can Be Demonstrated Under Power at 8 Capital Drive Dandenong, Victoria. We Can Discuss Your Requirement. Or to and one of our friendly staff will call you back. Asset Plant & Machinery ship Australia wide with a network of preferred Transport Carriers. We care about your machine and will ensure we use the best option available. Need more Details or Simply Can’t find What You Are Looking For? We have many more items available – Sometimes too many to list. 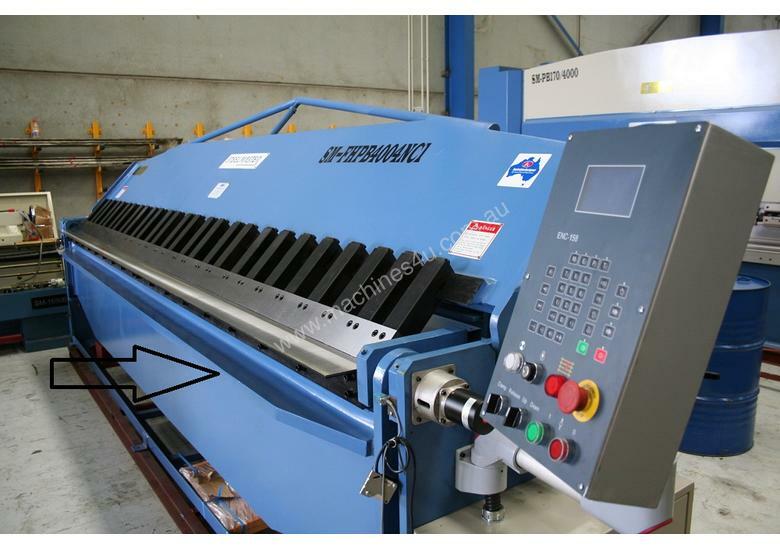 When looking for a quality Metalworking Hydraulic Panbrake Folder, look no further than Steelmaster Industrial. 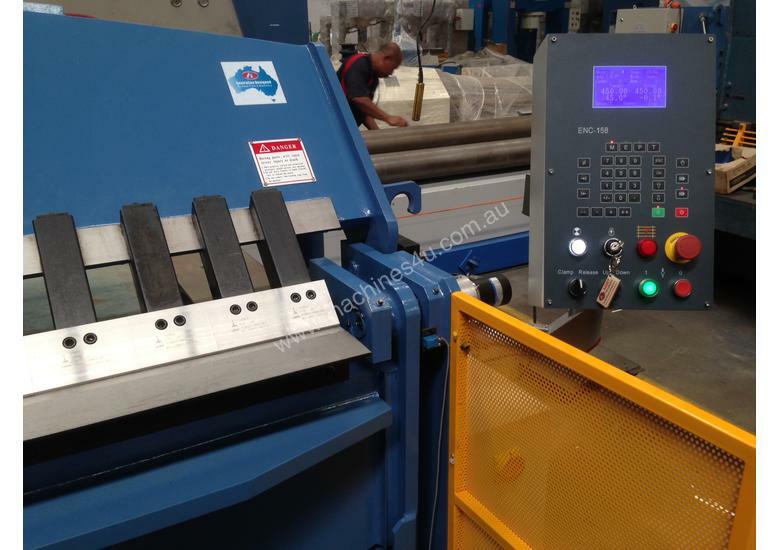 Australian Designed & Engineered our Steelmaster Industrial Metalworking Hydraulic Panbrake Folders offer the Fabrication Sheetmetal worker a very high quality engineered machine with superb features and tight tolerances at reasonable prices. Steelmaster carries over 20 models of Metalworking Hydraulic Panbrake Folders in stock at all times for quick shipments. Steelmaster Industrial’s ever growing line of Metalworking Hydraulic Panbrake Folders consist of our manual operated machines, our Standard Simple Angle Model, our NC1 Programmable Angle Fold model, to our full CNC2 model offering 2 Axis control with our powerful Foldmaster CNC programming system along with a large range of tooling & accessories. Depending on your needs we have the model for you, starting with our cost effective manual panbrake folder to our Foldmaster CNC2 Graphical Models. You won’t be disappointed. With many models to choose from our Manual Operated Metalworking Panbrake Folders offer the best “bang for the buck”. The manual model comes standard with a quick action gap setting feature, extra large open height for large box folding, hardened & ground folding fingers and a well balanced clamp & fold weighted system We fully believe that we have packed our Panbrake Folders with as many features that we can think of to assist you with working smarter – not harder! 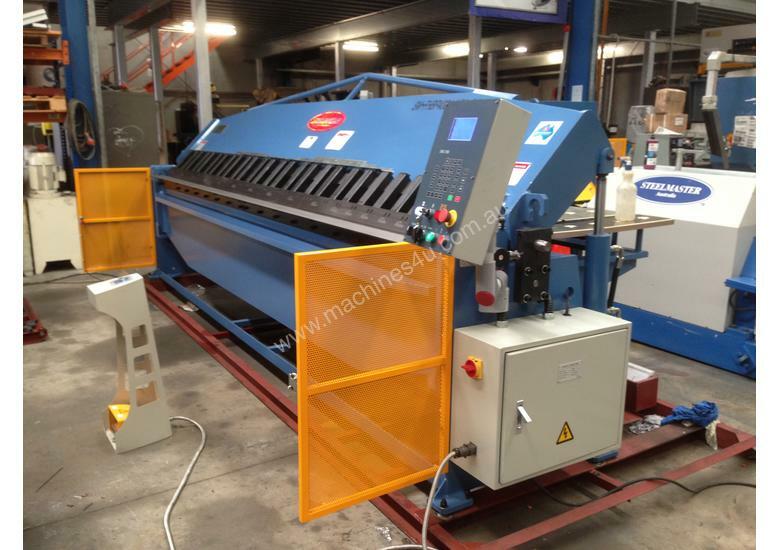 We offer our Manual Panbrake Folders in sizes from 1270mm ~ 2500mm with larger models available on request. 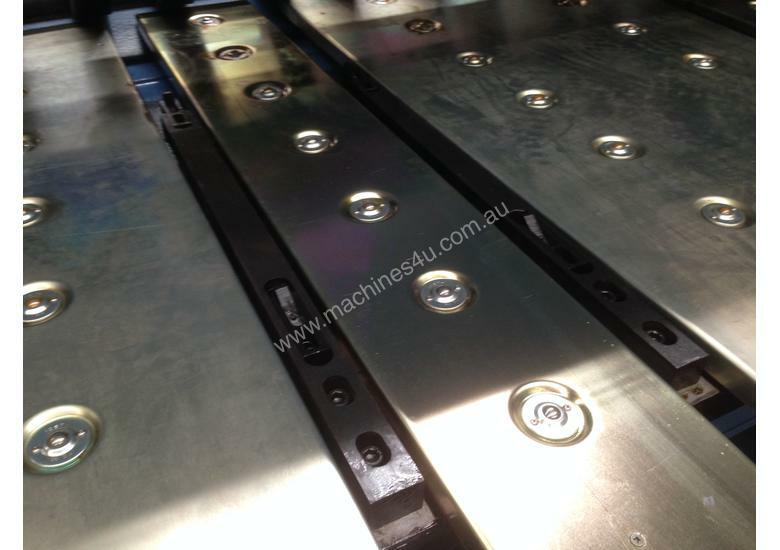 We understand that not everybody wants an NC or programmable Hydraulic Panbrake Folder. Some operates just require a simple system that works. Our STD Hydraulic Panbrake Folders offer the KISS factor! “Keep it simple silly”. Simply set the angle setting on the side of your folder and away you go. Our STD Hydraulic Panbrake Folders offer the same “high quality” frame build and fit as our NC & CNC2 models – just a simple setting feature! How goods that? Sizes from 2500mm x 2.5mm ~ 4000mm x 4mm with larger models available on request. Safety Laser Light Guards are fitted standard on all our Hydraulic Panbrake Folders to ensure full safety is met! All this at a very competitive price. With many models to choose from our Hydraulic NC1 Hydraulic Panbrake Folders offer programmable folding features. The NC1 model comes standard with an Estun Fully Programmable Controller operating the folding axis. We fully believe that we have packed our Hydraulic NC1 Panbrake Folders with as many features that we can think of to assist you with working smarter – not harder! 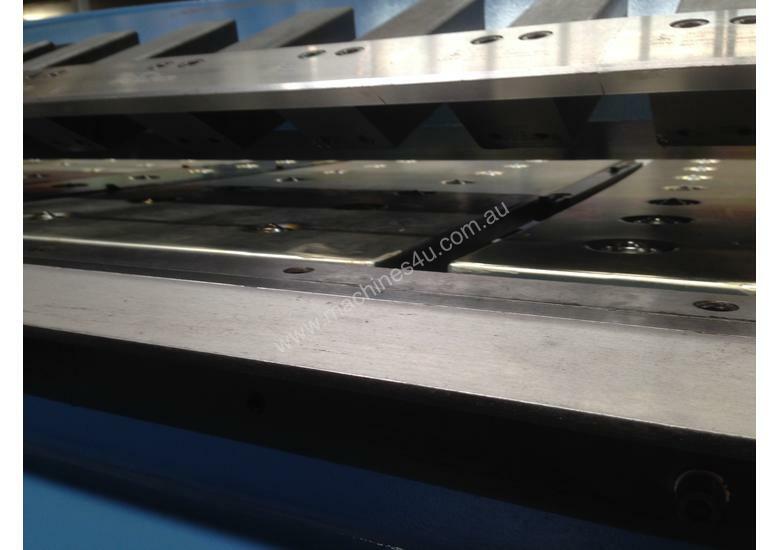 In addition to the NC1 we have fitted a Heavy Duty Sliding Backguage system running on dovetail guides. Not the flimsy backguages as fitted to other machines. 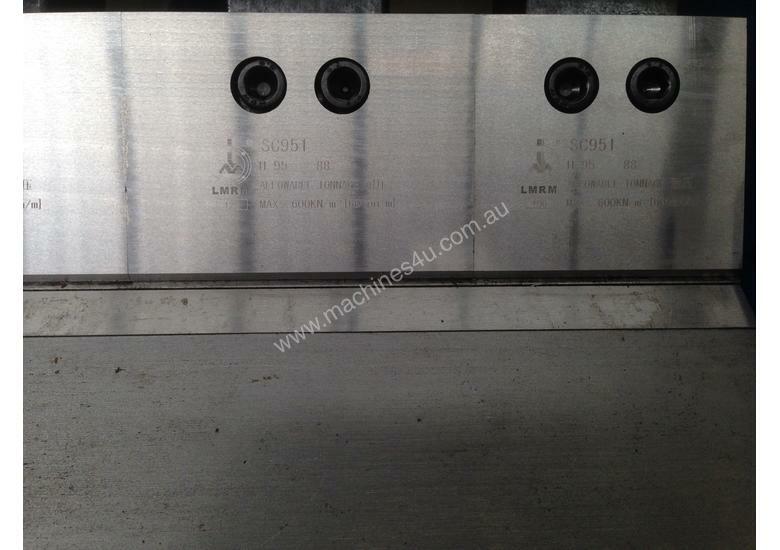 Also comes with Pressbrake style adjustable fingers. 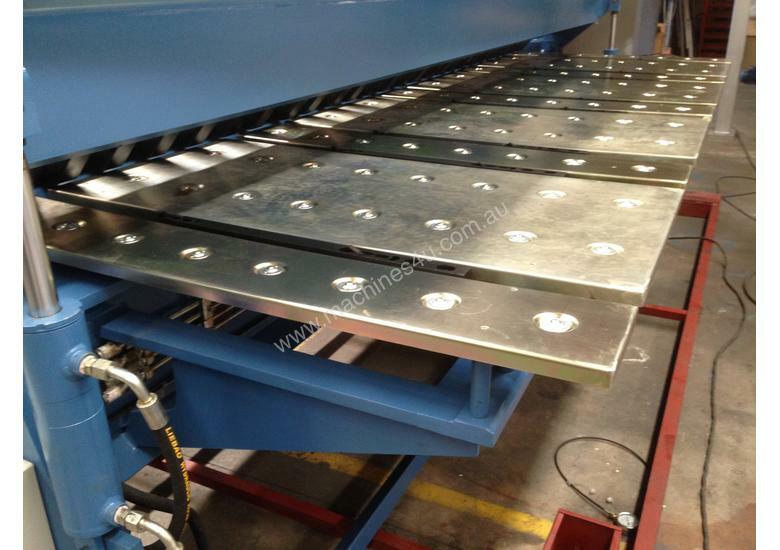 We offer our Hydraulic NC1 Panbrake Folders in sizes from 2500mm ~ 4000mm in length with larger models available on request. Safety Laser Light Guards are fitted standard on all our Hydraulic Panbrake Folders, as is E-Stops to ensure full safety is met! All this at a very competitive price. Steelmaster Industrial offers our new Foldmaster CNC Controller on our CNC range. This would have to be the best CNC system on the market for power and ease of operation. Our Hydraulic CNC2 Hydraulic Panbrake Folders have been fitted up to offer you the best selection of features. 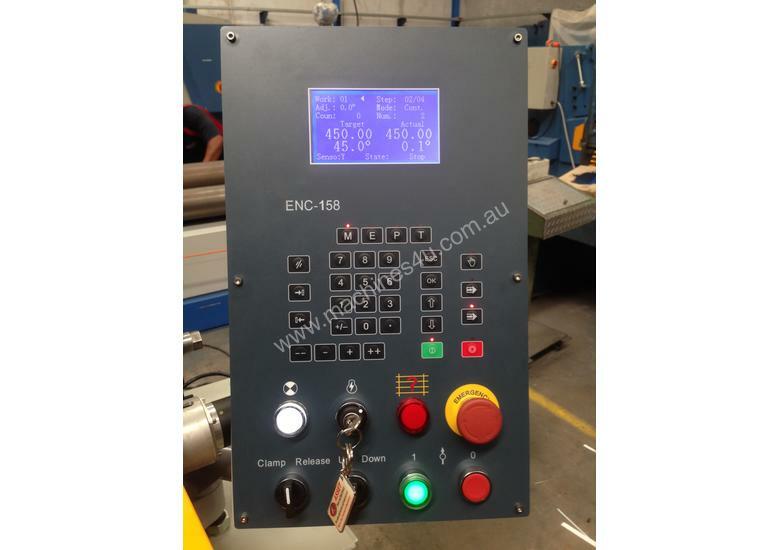 In addition to the NC models our CNC2 models offer, 2 Axis Programming drive, rear roller ball table, Foldmaster CNC graphical controller, quality imported precision backgauge system and fingers. Safety light laser guards are included as is E-Stops!!! 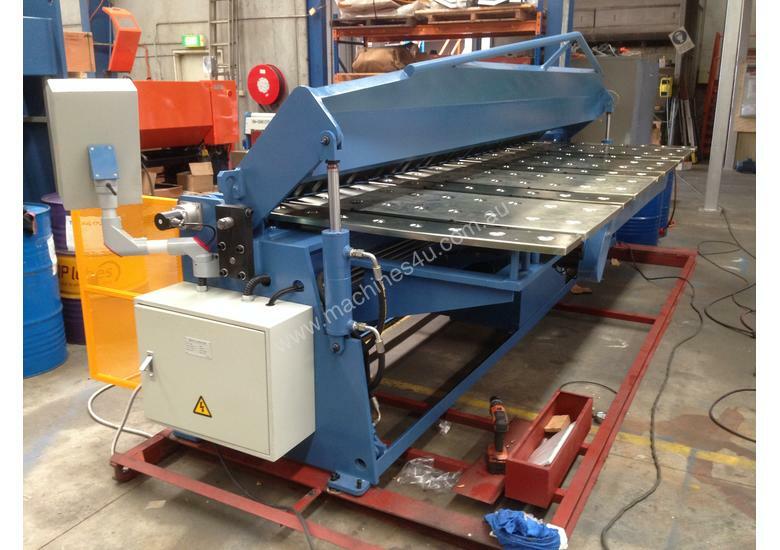 Asset Plant and Machinery have been supplying metalworking machinery to the industry for over 18 years. Our main distribution facility is located in Dandenong, Victoria, with easy access to all transport routes for direct shipping Australia wide. With the changing world economy, there are shortages of raw materials, higher fuel costs and currency changes all of which affect manufacturing costs on a regular basis. We try to balance this by buying in large quantities and offering you stock on hand at the very best price. 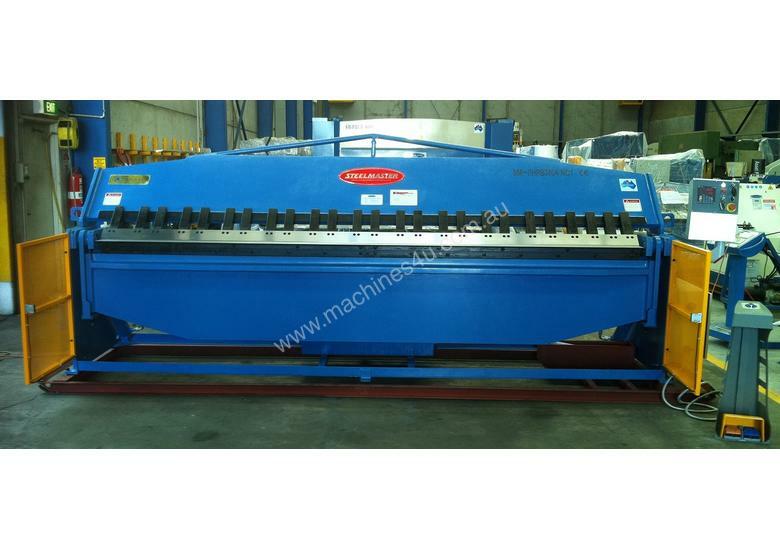 ASSET PLANT & MACHINERY - Your Partner in Machinery. Our extensive range of metalworking products will offer you the most comprehensive features along with competitive pricing. Our large showroom and modern facilities cater for all of our customer’s requirements. All of our products can be demonstrated ``Under power`` to ensure the product we offer you suits your application. Along with our 3000Sq/m distribution facility in Melbourne, we also have a regional network of specialist dealers at your disposal to offer both advice and support. All of our products are pre-commissioned in house prior to delivery and are supplied with detailed instruction manuals and parts listings. 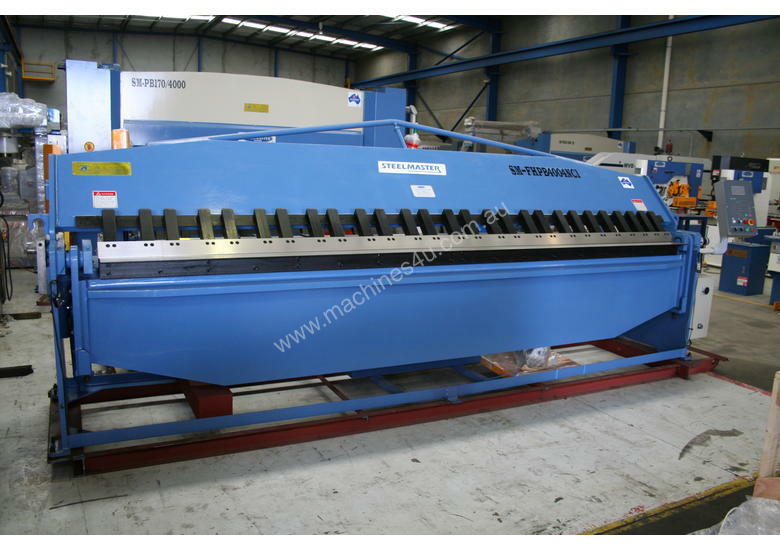 Our Steelmaster and Asset metalworking products will be “Your Partner in Machinery”. Our Goal is to Satisfy. Our products are manufactured to the most rigorous and exacting standards and our knowledge serves to constantly advance and improve our products. We are also open to suggestions and feedback from our clients on areas of improvement and will consider these when noted. We also offer installation and training of our equipment by a select team of Asset employed experienced service personnel. Should you require our after sales service, you will not encounter any difficulties. Our specialist experienced staff are available to help you at any time. A comprehensive stock of spare parts are available at our premises providing you with short-time delivery of most lines when required. Our service guarantees the best use of your machine for many years to come. Financial Services provided by Asset offer attractive financing options for your organization. Contact us for further information regarding having your next purchase financed. We have a listing of preferred financial suppliers for your requirements. Asset can take care of and manage the refinancing or leasing arrangements. Contact us with an outline of your requirements and we will discuss your options and plans available. We have a large selection of corporations available to assist you in your purchase. Discover and learn about our assistance available in your next purchase with Asset, to allow us to tailor a plan to suit your company and requirements. 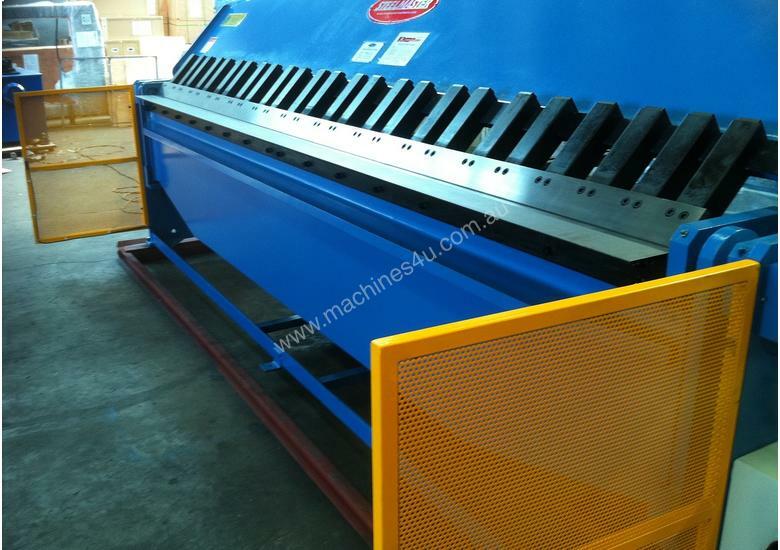 For More information on our Machines, go to our extensive website or contact a Steelmaster industrial Representative. NOW! and talk to tradesmen that know and care. MAKE YOUR NEXT PURCHASE AN ``ASSET`` TO YOUR COMPANY! Quality Euro Style Panbrake, Strut Assist.